Bawah Reserve proudly supports the establishment of the new Bawah Anambas Foundation (BAF). 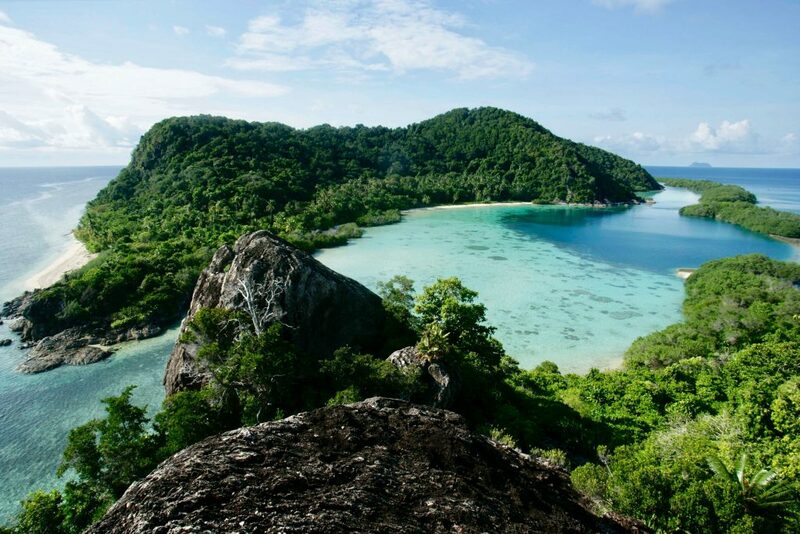 Comprising six islands, three lagoons and a rich marine eco-system located in the Anambas Islands, Bawah Reserve is part of the Coral Triangle, which is reputedly ten times more diverse than Australia’s Great Barrier Reef. The core goal of the foundation is to protect and improve the overall ecosystem of the Anambas, by preserving land, sea and local community, using three core pillars: ABOVE, BELOW and BEYOND. BAF is headed up by Jerry Winata, working alongside Bawah Reserve co-founders Tim Hartnoll and Matthew Chapman as patrons. Previously, Jerry has lead development projects with the World Bank and United Nations. He has also consulted for major corporations in Indonesia to improve their substantiality strategy and now brings his expertise to BAF as Head of Foundation. The district of Anambas comprises more than 250 islands across seven sub-districts, with a total population of around 45,000. BAF is working closely with the local Anambas government as well as other stakeholders including NGOs, academic research institutions and most importantly the community themselves. BAF discovered that up to 80% of the local Anambas community rely on the ocean to generate income, which is in turn having a negative impact on the ecosystem. Through its core pillars, BAF aims to change the mindset of generations to come, providing alternative options for their future and in turn, ensuring the conservation of the overall ecosystem – both underwater and terrestrial. The diverse natural environment of the Anambas Islands is a defining element for both visitors and inhabitants and the importance of the lush forests and wildlife cannot be underestimated. In order to conserve the land, the BAF arranged for foresters to map the islands in order to determine the flora and fauna that grow and recognise species under threat, ultimately impacting nature. In order to assist the BAF with its plight, the district government has provided them with some land in the Anambas (outside of Bawah Reserve) to use as a nursery. BAF will use this to plant trees to repopulate species under threat as well as fruit trees that the local villagers can use as an alternative source of revenue. BAF marine biologists work to help combat coral conservation in the areas surrounding Bawah Reserve and beyond. This pillar also aims to reduce the intake of fisherman in the region and replenish fish stock, without impacting the livelihood of locals. With oceans that are 10 times more diverse than Australia’s Great Barrier Reef, the Coral Triangle marine-scape is both precious and delicate. The seabed has been mapped and key species inhabiting the surrounding seas have been identified. The small area of Bawah Reserve is now home to 46 of the world’s 122 coral types which have increased since the development of Bawah started five years ago. The next step in marine conservation for the BAF is a huge investment in continuing coral reef protection programmes, which guests of the Reserve will be able to participate in through education, dedicated coral conservation dives and coral planting. Come 2019, turtle conservation will be a key focus for the foundations BELOW pillar. The Head of Bawah Anambas Foundation, Jerry Winata spent a number of months living in several local villages in order to identify their individual challenges and potential as well as build a genuine rapport with the people. 80% of the Anambas region relies of the ocean and fishing is their key source of income and the trade they have known for generations. Fish stock has reduced as a result, so the BAF BEYOND pillar aims to provide alternative, more sustainable options and skills for the local population, changing the course of the future for the better. The first scheme to be implemented is the development of organic farms within their villages, to allow food consumption at market price as well as providing increased income for the community. Rather than buying or renting their land, the BAF are training the locals and providing them with the tools (such as irrigation, feed and shade) to enable them to grow their products themselves. Of course, Bawah Reserve is giving them access to market by purchasing as many local products as possible. The Reserve also employs as many locals from the surrounding Anambas as possible to work at the resort itself, training them for a future in hospitality. Additional community projects will include solid waste management (plastic), as well as, English lessons and education for local school children.